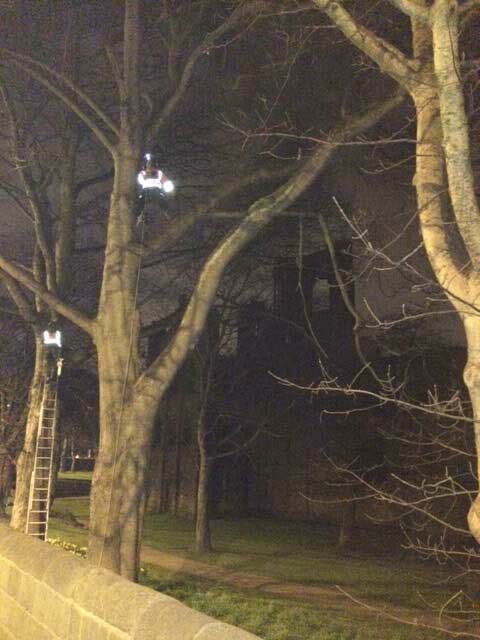 Treesaw carried out tree pruning, tree removals, stump removals and stump treatment within the grounds of Kirkstall Abbey in March 2015. 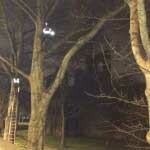 The work was required to address overhanging branches restricting light from nearby lamp columns reaching the highway and to reduce the risk from trees requiring urgent remedial works. A truck mounted crane was used to dismantle some of the trees and transport the arising material to a designated landing area. 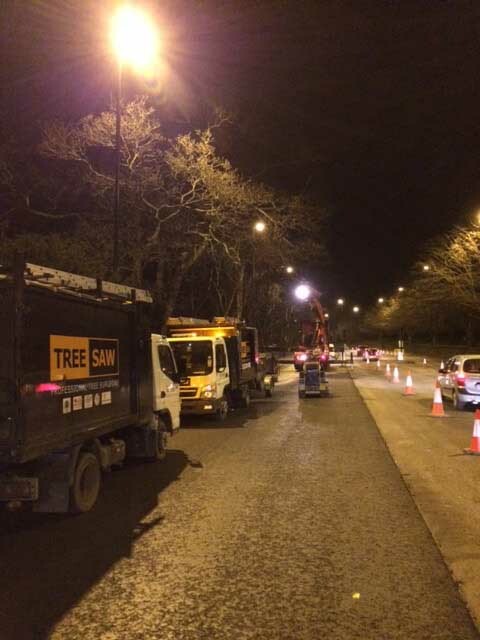 Treesaw liaised with Leeds City Council Highways, Network Management to ensure that appropriate traffic management systems of work were in place. 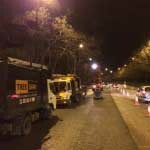 These included the work being undertaken at night between 8.00pm and 5.00am to reduce disruption to road users on the A65, a contraflow and a two way traffic light system. Particular attention was given to carrying out surveys for the presence of bat roosts before any work commenced. This was done with a preliminary scoping survey and again by the climbing arborist before work to each tree commenced.